CHICAGO – In the latest HollywoodChicago.com Hookup: Film with our unique social giveaway technology, we have 50 pairs of movie passes up for grabs to the advance screening of “The Reluctant Fundamentalist” starring Kate Hudson! “The Reluctant Fundamentalist,” which is rated “R,” also stars Kiefer Sutherland, Liev Schreiber, Riz Ahmed, Om Puri, Shabana Azmi, Martin Donovan, Nelsan Ellis, Haluk Bilginer, Meesha Shafi, Imaaduddin Shah, Christopher Nicholas Smith, Ashwath Bhatt and Sarah Quinn from director Mira Nair and writer Ami Boghani based on the highly acclaimed global best-selling novel by Mohsin Hamid. To win your free “The Reluctant Fundamentalist” passes courtesy of HollywoodChicago.com, just get interactive with our unique Hookup technology below. That’s it! This screening is on Thursday, May 2, 2013 at 7 p.m. in Chicago. The more social actions you complete, the more points you score and the higher yours odds of winning! You must be 17+ to attend this “R”-rated screening. The movie poster for “The Reluctant Fundamentalist” starring Kate Hudson and Kiefer Sutherland. The trailer for “The Reluctant Fundamentalist” can be watched now below. This HollywoodChicago.com Hookup is simple! Just get interactive in our unique Hookup technology above. 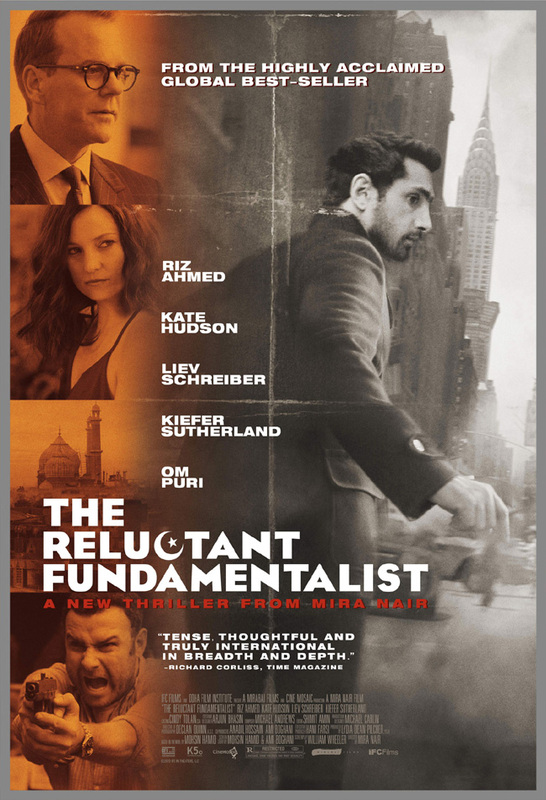 We will award 50 admit-two movie tickets based on social entry numbers and/or randomly via e-mail for our “The Reluctant Fundamentalist” Hookup. Good luck!